I think Jordan Will made them, but it was a while ago, so I'm not sure. Could've sworn it was him, though. Is there a list of all the contributors to the project, out of curiosity? Right know as active or important contributors we are 10 but we hope to credit everyone involved in the project in some way or another when we finish showing the sets. 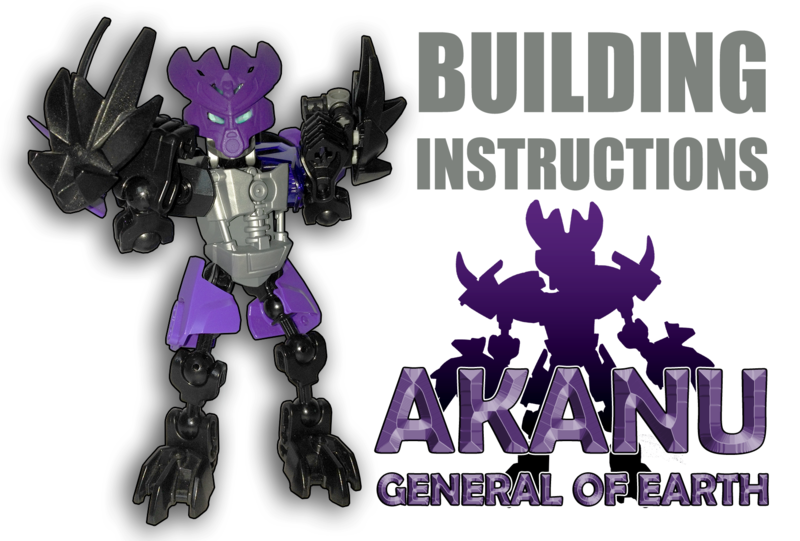 With the generals finished and out the way we will now be focusing on getting instructions for the monsters and Axato done. A function will be given to Tiakro and Anirra, and the colour schemes for Kaija, Tiakro and Velka will be improved. This is all based off of criticism people have provided, "patches" will also be given to the last two generals based on criticism too if possible (so please give your thoughts). 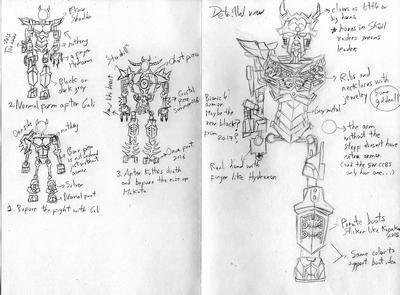 um @TheMoltenKing that cape consept art is not ours, that is something i found on Google to show the idea of my suggestion of a Cape. These are cool! 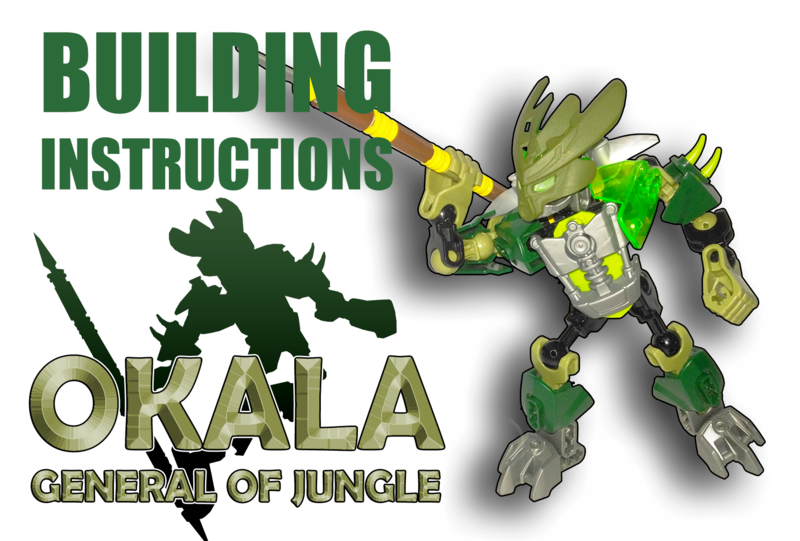 I feel like the color schemes work well for both of them, with the exception of the lime piece on Okala's chest. It would look better in olive like the rest of the armor. Of course, that would require more painting of pieces, so I can understand why it wasn't done. In an ideal world, though, that piece would be olive. Moving on, that's really the only gripe I have about Okala. 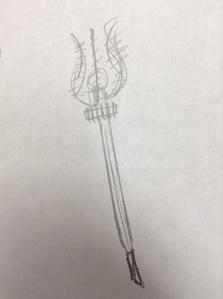 I love the design of the weapon, as simple as it ends up looking. The rest of it just works for me. I actually have the opposite to say about Akanu: I don't like the weapons much. Their position on the hand just doesn' work for me, and I'm not liking how they aren't a different color from the hands. I think the rest of the build looks good, though. I especially like the shoulder armor on this one. All in all, good work! I look forward to seeing the rest of the monsters and Axato, as well as whatever changes you make to the other generals. Those last two generals are awesome! Definitely some of the best ones. 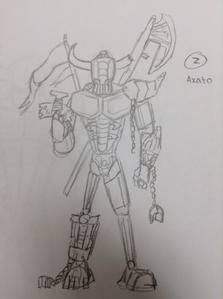 I really like the first drawing of Axato, as it looks a whole lot like how I would imagine him. Alright it's time for my annual unwanted review of the sets! Overall an alright little figure. The color scheme seems fine and i actually appreciate the unique weapons. My only complaint would be how far out the shoulder pads stick. Everything else is fairly normal. This figure is fantastic. Absolutely amazing. I'm not kidding, I love this one. The weapon, the build, and that color scheme.... oh boy that coloracheme. It almost perfect, they way the green and olive mix is just amazing. The weopon also looks really good, it's simple but well done. My ONLY complaint is the lime armor underneath the silver chest armor. 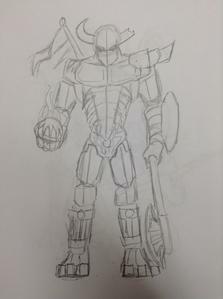 I would have put a dark green size 4 armor shell there, from the secound Chima Cragger figure. 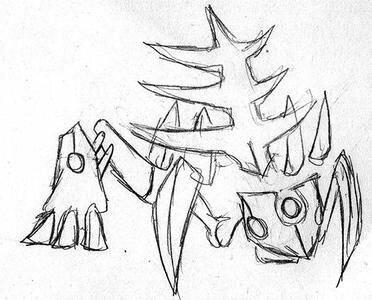 As usual the concept art is great that's nothing new. Good job so far guys and I'm eager to see those "patches". 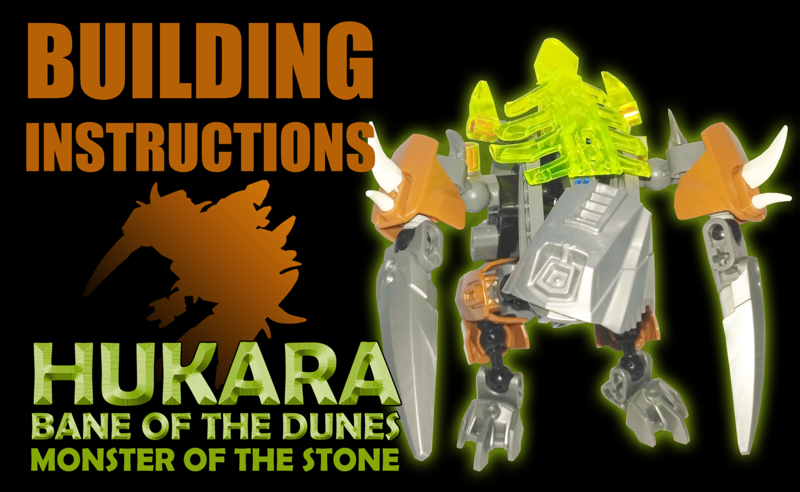 UNOFFICIAL BLP Review: "Hukara, Bane of the Dunes"
Let's take a look at Hukara, shall we? Took me a while to understand this one. I had to stare at it for a few minutes to figure out exactly what the function was, which gave me a lot of time to observe the custom build. So after figuring out that spinning the tale moved the two front legs and that your designers had effectively made your own working gearbox I was pretty impressed. And that's definitely the strongest part of the model, the custom build and function. The issues come with not being able to figure out what exactly it is, because at first glance it looks like a hodge podge. But since I had to stare at the thing for a good while I don't see that anymore. Overall I think this is a pretty good model. the problem is that we did not have a custom head for it. A shockingly awesome set, guys. My review is right here. Tell us what you think. Feedback has been excellent so far! Let's see how Okirak holds up. Yeah it's great. I'm not gonna hype it up or leave anybody hanging, this guy looks fantastic. The proportions are great, the custom build is very creative as usual. I really like this one, pretty much no notable complaints. Maybe a little jumbled looking but that's all. Nice work guys! This looks really menacing, great job!